How SEO Factors into Digital Marketing in 2019 | Jody Nimetz Co.
For years we have heard the adage that “SEO is dead” or that optimizing for Search is on the way out. The fact is so long as people have questions, optimizing for Search will never go away. There will just a different approach as to how we optimize for Digital. It seems like every year digital marketing undergoes some form of change, and 2019 is no exception. In fact 2019, might be another year where we see some dramatic change in digital marketing. Here is a secret that I will divulge when it comes to optimizing for Search. A lot of people in this industry have failed to realize that optimizing for Search is not about link building or content optimization. It’s about visibility and matching user intent. This has always been my approach to SEO and digital marketing. Even before some of the more well-known players in the industry have communicated this, I’ve been living and practicing this since Google was just a baby in 2002. People always ask me “what do you do?” and my typical reply is “I make my clients money.” Well how do you do that? I reply with “I get them visibility in Google and other online environments”. The how, is that I work with my clients to understand who their audience is and help my clients identify what that audience is looking for and how to intercept that audience when they are looking for the products or service that my clients provide. I focus on simplicity and making it easier for my clients’ audience to find them (my clients) online. It’s not just about acquiring backlinks or optimizing your on-page elements and coding, it’s about providing what’s best for the end user. 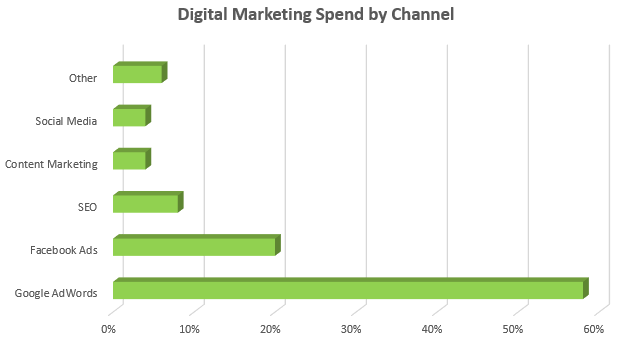 Yet if we look at where the greatest return is by channel, we see that SEO and Content Marketing are where it is at… still. That is some pretty substantial return based on your investment. Of course when we talk about Search, Google is still the main player in North America. However, it does take time to get visibility on Google. So one of the “knocks” against SEO is that results take time. Well if you aren’t willing to give it a nine months to a year, you probably shouldn’t spend much time doing traditional SEO. You need to have a solid plan when optimizing for organic search (SEO). So then you may ask, how does SEO factor into your digital marketing efforts in 2019? I’ve actually spent little time educating clients and marketing teams on the value of SEO over the years. That’s not to say that I haven’t done it, it’s just that the results speak for themselves. I’ve seen it from the first website that I optimized back in 2002-2003 to my clients today. Those organizations that commit to optimizing for organic search, part of which is freeing up budget for SEO, have seen the greatest success in gaining visibility and generating return from Search. The organizations that haven’t committed to or pulled the plug early on their SEO efforts have had less success. Where would I focus my efforts on optimizing for digital in 2019? Here’s four areas worth considering when it comes to SEO efforts in 2019. Matching your content with intent – you’ve read this before right? Well there is a reason for that. You can never know enough about your audience. Understanding what their needs are, what type of information they are looking for and when they need your services is pretty important. Factor in that roughly 70% of Internet users want to learn about your products and services through online content versus traditional advertising then you’ll know what I’m talking about. The way to create online loyalty, increased engagement and potentially increased revenue via online is by matching your content with your users’ intent. This is why I’ve always been big on FAQ content. Creating, concise, well-written, informative, and when needed thorough content that answers the most common questions your customers will ask goes a long why when it comes to matching your content with audience intent. Related Resource. When someone performs a search for any keyword, they aren’t just “conducting a search,” they are looking for a solution to their problem. They are looking for relevant information. By understanding the intent of their search, you’ll be more likely and able to solve their problems. In 2019, you’ll still need to produce great content, but you will want to focus on how that content addresses your customer’s needs and how you should best be serving up that content. So long as we have content, keyword research and identifying semantically relevant topics that you can optimize your content and copy for will always be required. Matching topic relevance with user intent is something that needs to be a part of your copy optimization. Does this mean optimizing for question based queries? Well probably, but it also means on focusing on topics and incorporating semantically relevant terms that people are in tune with not industry or marketing jargon that no one outside of your organization is familiar with. Keyword optimization is still needed, as a result your approach to leveraging keywords for your content may change in 2019. It’s not just about being number one in Google anymore. It’s always been about relevance to a user’s search query. Voice Search IS a thing (see we told you) – I’ve been on the voice search bandwagon for a number of years now. For me it dates back to that presentation from Mr. Hogan. We were seeing a shift into how people are searching for information on the Web. 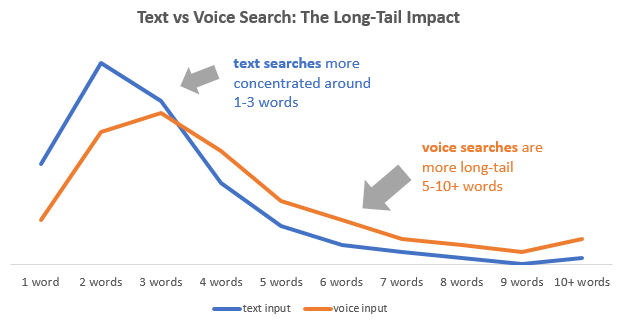 Considering that voice searches are based on natural language and natural dialogue it just makes sense to optimize for long-tail searches right? Voice search is more than speaking into a microphone via a cell phone or laptop. We are already seeing more engagement with Smart devices, smart watches etc. It is suggested that 30% of web browsing won’t even take place on a device with a screen. We are already seeing more and more people using smart speaker or smart device technology such as Google Home or Amazon Echo. comScore has even stated that by as early as 2020 50% of all searches will be voice searches. So from an optimization perspective, SEO if you will, is moving towards voice search. Not app optimization, not local optimization, not social optimization, voice is where it’s at people. This is a dramatic shift for how we optimize our content. You don’t necessarily need to rank number one in Google for voice search. The A.I. doesn’t care where you rank, it just matters that your content matches the intent of the search query. Consider Google Home for example. Let’s say you are looking for a recipe for iced tea and you ask Google “hey Google how do I make iced tea” and your website has the recipe and steps to make iced tea, the user won’t even need to go to your website, although Google may be in fact relaying your content from your website to the user. Voice Search will impact conversions, more specifically attribution rates and such. However it will provide more convenience for your audience. You just need to ensure that your content is optimized for voice search. Focus optimization efforts beyond Google – let’s be real here, contextual-based content was (and arguably) is still one of the best ways to gain visibility in Search specifically in Google. However people don’t always use Google to find information online right? They might use social media, they might use other Search Engines. Ever wonder what the second most popular search engine behind Google is? Nope it’s not Yahoo. Nope not Bing either. Are you ready for this? The answer is YouTube. Yes you can categorize YouTube as a “search engine”. (A reminder that Google owns YouTube – $1.65B will buy you a video sharing website). A little secret is that a lot of people use YouTube on a regular basis… but did you know that as a search engine YouTube is way less competitive than Google? What this means is that it can be much easier to optimize your video content on YouTube and have your content show up in their search results than trying to show up in Google. So the benefit you can expect to receive is that you can experience more traffic (and drive increased brand awareness), provide relevant customer support and share company information quicker and easier than trying to manipulate Google’s search results. Google isn’t the only game in town. Optimizing for other channels in 2019 is highly recommended. If not YouTube, how about optimizing your mobile app in iTunes or Google Play. Leveraging podcast content? Have you optimized this content for iTunes? Have a solid presence on Instagram, Twitter or Facebook? Focus your digital marketing efforts beyond Google. You just might be surprised by the results that you get. Digital marketing is going to change in 2019, just like it does every year. That is the great thing about marketing in the online universe. Your options can be vast, you just need visibility in the right areas. You have to work at it. SEO has changed over the years (and yes there are a lot of “fly-by-night agencies and consultants out there), but optimizing for organic search should be a core part of your digital marketing focus. 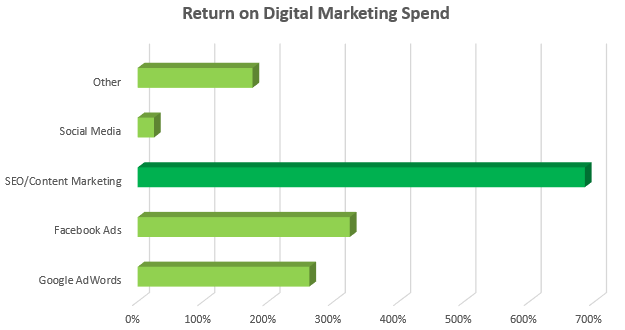 Marketing budgets should be revisited to ensure that SEO has a place at the table. As mentioned earlier, SEO provides ones of the highest rates of return so there really is no reason as to why you shouldn’t optimize for organic search and for visibility in places such as Google, YouTube, iTunes, Facebook etc. Not sure where to start? Well an audit of your website is always a good place to being. Determine areas of strength and areas for improvement. Focus on improving your website, your content and your visibility. Need assistance with a website audit? Contact us for a free quote.